Free Shipping Included! 40X-2500X LED Digital Binocular Compound Microscope w 3D Stage + 5MP USB Camera by AmScope at The Square SC. MPN: B120C-E5. Hurry! Limited time offer. Offer valid only while supplies last. 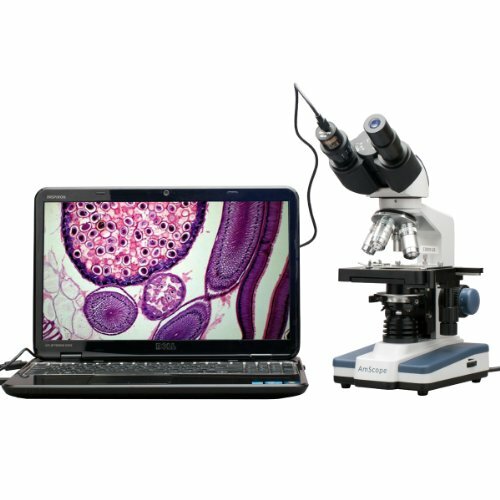 Our new binocular compound microscope with 5MP USB camera is designed for teaching demonstrations, clinical examinations and laboratory applications.